I love ballerinas. I really do. Their grace, strength and dedication to their art never fail to touch me. I am too much of a bad dancer to even dream of becoming one so I will be content with the type of ballerinas that you can wear on your feet. 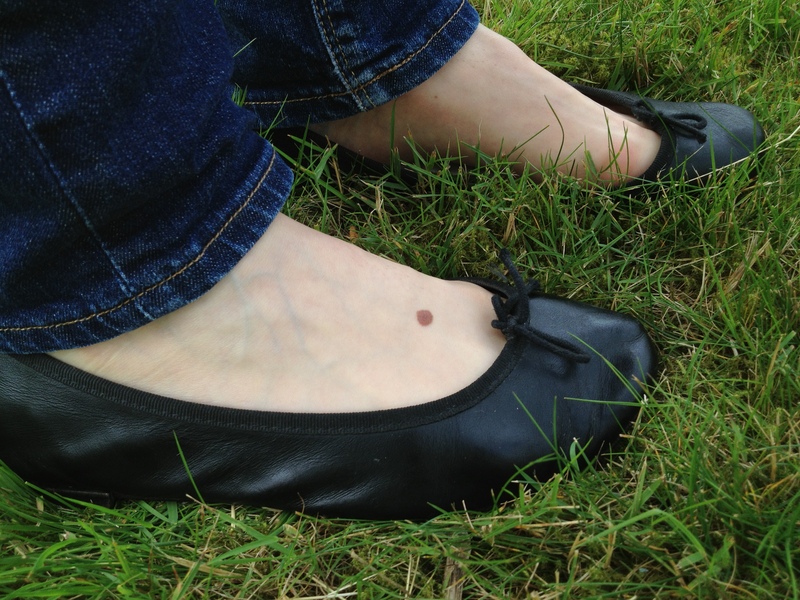 I have bought these black Repetto Cendrillon ballerinas over and over again for years. It’s a simple model appropriate for every occasion. Do you know the history of the brand? Rose Repetto created her first ballet shoes in 1947 under the advice of her son Roland Petit, a major choreographer. In 1956, Rose created the Cendrillon ballerina on Brigitte Bardot’s request and this pair of shoes became famous when the actress wore them in the cult movie …And God Created Woman. Repetto became the supplier of the greatest dancers. The brand now represents French style around the world and remains loyal to its ballet heritage with beautiful stores full of tutus and pointe shoes. Actually, Repetto launched its first fragrance today; you can view the ad featuring Paris Opera Ballet étoile dancer Dorothée Gilbert here. I was at looking at the Lanvin shoes at the Bon Marché. I have loved their ballerinas for years but had never seriously considered buying a pair because of their much higher price. Anyway, the sales assistant convinced me to try them. Because trying doesn’t mean buying, right? I put them on, walked a few steps… and I was sold. The Lanvin ballerinas’ level of comfort is incredibly superior to Repetto’s: the soles are reinforced with a cushion that makes me feel like I could walk for hours whereas Repettos give you the impression you are barefoot on the hard ground. The Lanvin’s tight rubber band at the heel did hurt a little at first but now that my feet are used to them it’s all good. As I said, Lanvin is more pricey than Repetto but so much more comfortable and seemingly more solid. The Lanvin sales assistant told me that the ballerinas last at least 2 years (compared to about 1 year for Repetto) so they should actually be a better deal. One thing I will remain loyal to Repetto for is the Zizi model. 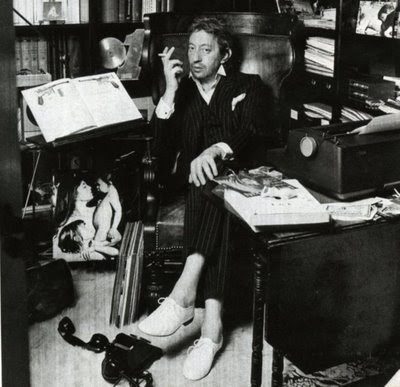 Created for Roland Petit’s wife Zizi Jeanmaire, this model was Serge Gainsbourg’s favorite. I love its masculine style and wear it with everything, all year round, dressed up or dressed down. I had my first pair for 2 years before I had to buy another one. Are you a ballerina girl? Is there a brand you favor? My friend Hannah-Rose from Capture the Castle has raved about Porselli; have you ever tried those? 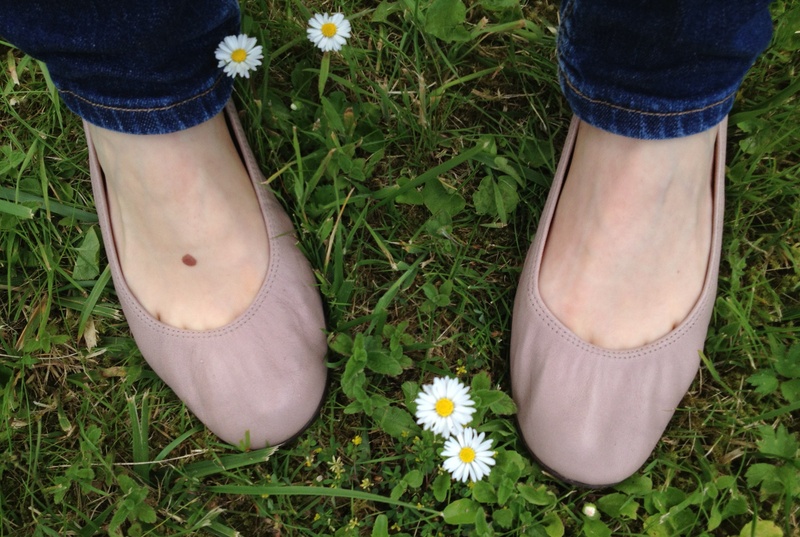 J’adore les ballerines. Leur grâce, leur force et leur dévouement entier à leur art m’émeuvent à tous les coups. Moi, je suis la pire danseuse du monde alors je me contente des ballerines portées au pied. Je regardais les chaussures Lanvin au Bon Marché. 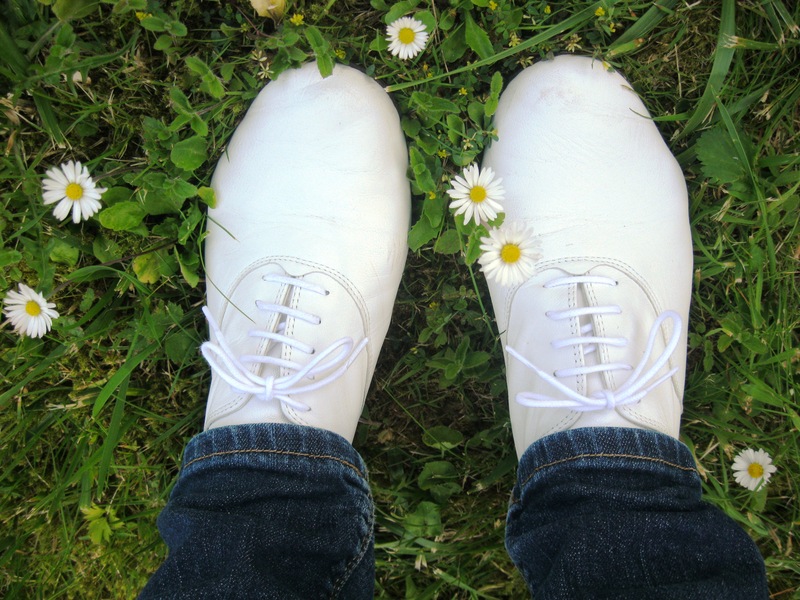 J’aimais leurs ballerines depuis longtemps sans avoir l’intention d’acheter une paire à cause de leur prix. Remarquant mon intérêt, le vendeur m’encouragea à les essayer. Parce qu’essayer n’engage à rien, n’est-ce pas ? Je les enfilai, fit quelque pas… et n’ai pas résisté. Les ballerines Lanvin ont un niveau de confort bien supérieur aux Repetto. Leurs semelles sont renforcées d’un coussin grâce auquel j’ai l’impression de pouvoir marcher pendant des heures, alors qu’avec les Repetto c’est presque comme si j’étais pieds nus sur le sol dur. L’élastique serré des Lanvin m’a fait mal au début à l’arrière des chevilles mais maintenant tout va bien. Comme je l’ai dit, les Lanvin sont plus chères que les Repetto mais beaucoup plus confortables et d’apparence plus solide. D’après le vendeur de Lanvin, les ballerines durent au moins 2 ans (contre environ 1 an pour Repetto) alors au final elles devraient être une bonne affaire. Je reste cependant fidèle à Repetto pour les Zizi. Créées pour Zizi Jeanmaire, la femme de Roland Petit, ce modèle était le préféré de Serge Gainsbourg. J’aime beaucoup son côté masculin et le porte avec tout, toute l’année, habillée ou décontractée. J’ai eu ma première paire il y a 2 ans avant de devoir en racheter une. Aimez-vous les ballerines ? Avez-vous une marque préférée ? Ma copine Hannah-Rose de Capture the Castle adore les Porselli ; avez-vous déjà acheté cette marque ? I have four pairs of Repettos. With each one, I wore the new pair a couple of weeks to scuff up the bottoms, then took them to my cobbler to have them resoled with leather. 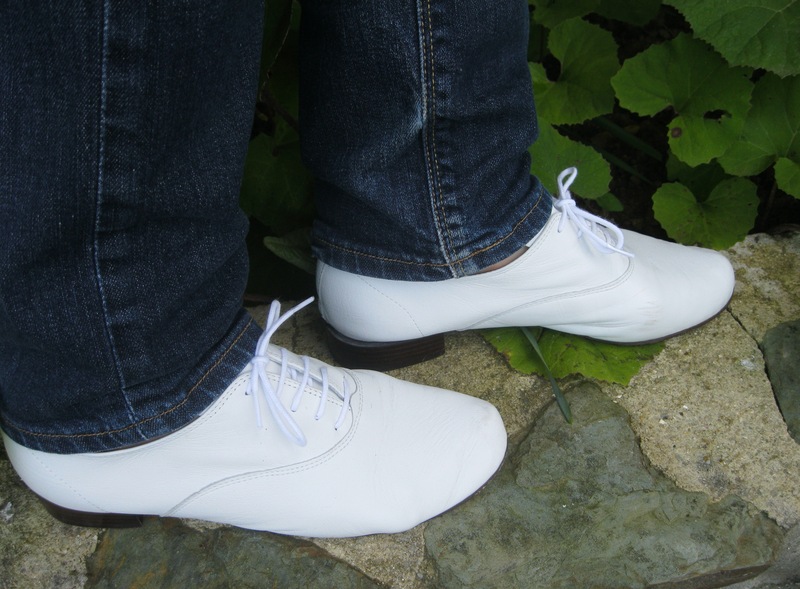 It doubles the thickness of the sole and prevents the shoes from wearing out. Costs about $30 USD per pair. My oldest pair is four years old. Great tip; thanks for sharing! 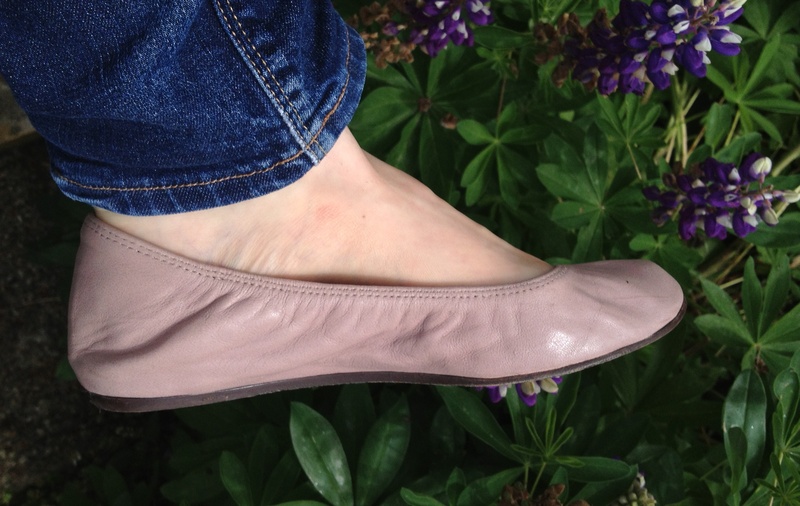 I love my porselli; they are a closer fit to my feet, and on average, a bit cheaper than repetto, with longer lasting soles. I’ve previously owned a classic pair of repetto ballerina, and one with a mid wedge, the latter was very painful to wear. 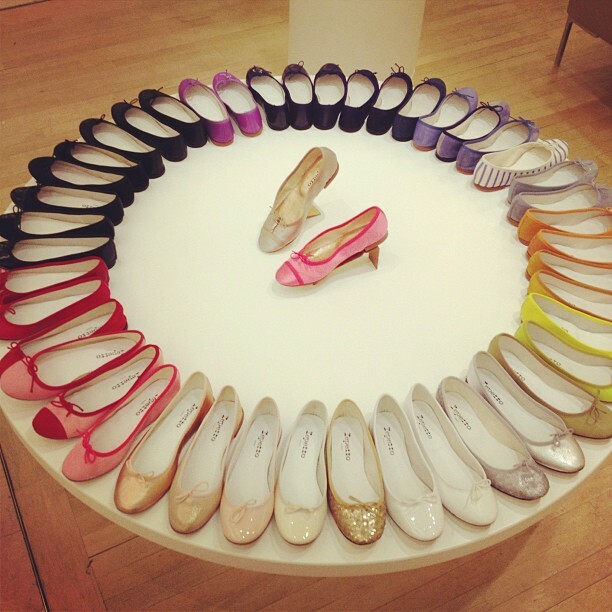 repetto does come with many more colors and selection though. You’re right about Repetto: they have a unique wide range of colors and materials. I’d love to go for one of their glittery models one day. Thanks for your feedback on Porselli! I am a ballerina girl but I’ve never bought expensive ones before. Thanks for sharing your experience! You’re welcome! Which more budget-friendly brands would you recommend? I love the Lanvin ones here, beautiful colour. I’ve been eyeing up Repettos in the recent sales but didn’t love one enough to buy it. Thanks for sharing your experience. 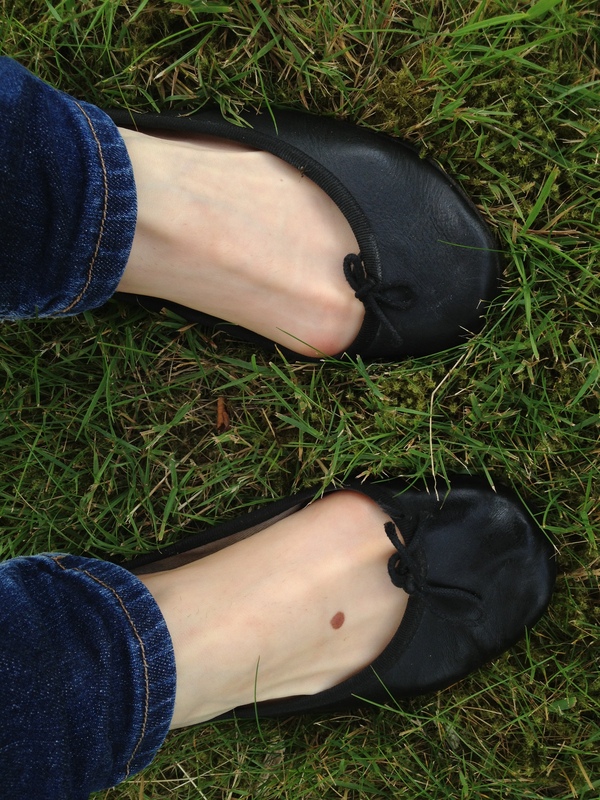 I’ve lived in my Zara flats for over a year in they show absolutely no wear and are perfectly pretty! Thanks! I should have a look at Zara next time I need a pair. I love your story about growing up dancing ballet. I never took a dance class in my life (my passion was playing the piano) but have become hugely interested in ballet over the past year. It’s such a beautiful art, bringing together dance, art, stories, fashion and music. Piano and Ballet go so well together, I think. But I agree, ballet is a really beautiful art, it always stirs emotions in me from within. If there is a documentary on ballet, you can be sure I’ll be watching it. Speaking of which… you should watch “Ballerina” a 2006 documentary which follows five ballerinas of the Kirov . No way!!! Oh my gosh I am so jealous right now! Hope you will blog about it so that I can “profit” through you haha They are just brilliant! 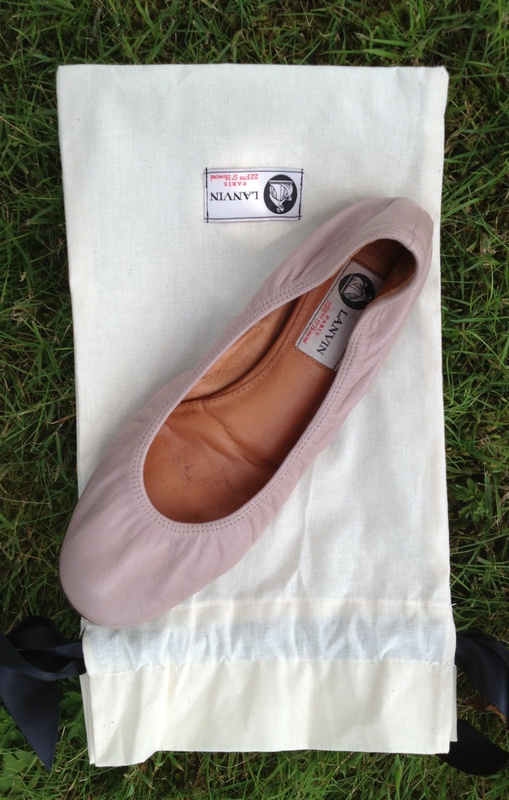 I have been eying the Lanvin ballerinas for ages now. The leather, the colours, the fact that they curl up a bit, everything seems to be perfect. Only the price makes me not buying them. Last week when I was in Paris I had a serious look at the ones from Repetto but didn’t buy them. There weren’t the right sizes anymore and I still prefered the Lanvin ones. After reading your story I’m sure I will go for the Lanvin ones. I’m not sure the Lanvin ballerinas are ever on sale since they’re permanent items in the collections :-( And I’m like you, I have loved them for ages but never bought them because of the price. The only reason I own them is because they’re gifts. But if they really last at least twice as long as Repetto, I think I’d rather invest in Lanvin from now on. And oh, what a lovely gift! I would love to see how the Lanvins will wear after a year, and see how they compare in terms of durability! Also, Lanvins do go on sale! I just saw black ones on sale at the outnet for 55% off, limited sizing though. Usually it’s the less classic colors and styles that get on sale.